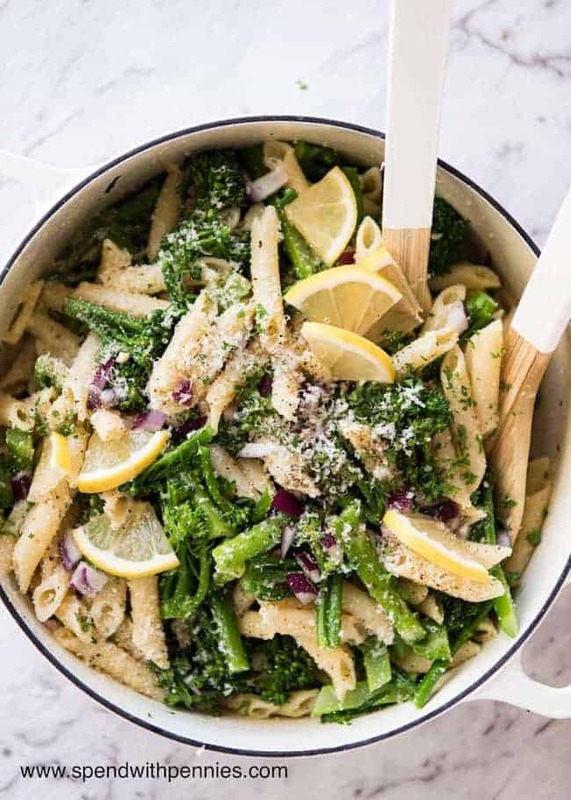 A fabulous pasta salad loaded with vibrant, fresh lemon flavours, parmesan cheese and the goodness of broccolini. One of my favorite spring salads! 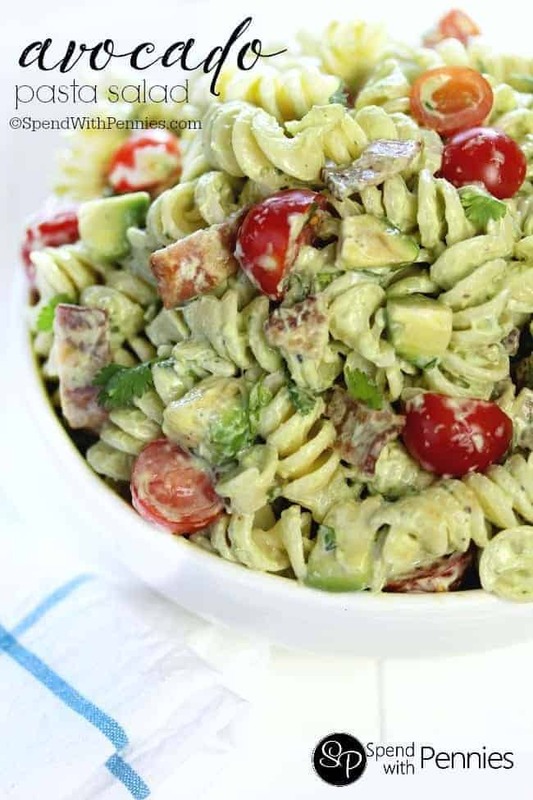 This pasta salad screams of spring! 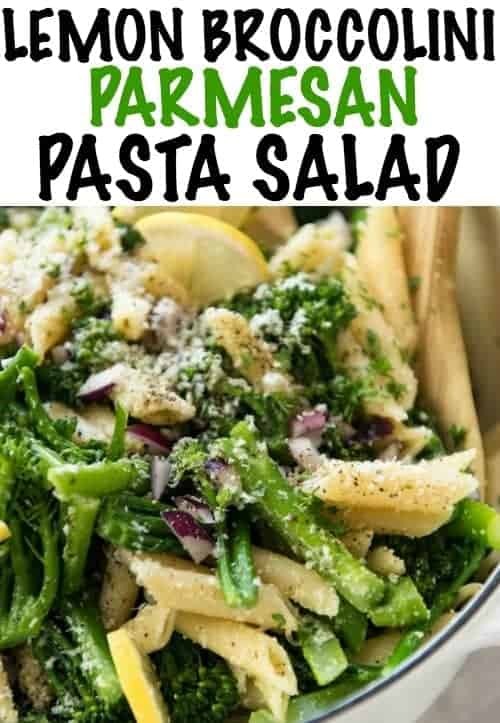 I love the bright green broccolini and the Lemon Dressing is fabulous! Did you know….when it comes to lemon anything, if you really want lemon flavour, you can’t just use lemon juice. You have to use the zest. The zest is where all the lemon flavour is! Lemon juice is a bit lemony, but it is mainly just sour. So that’s a little tip for you! 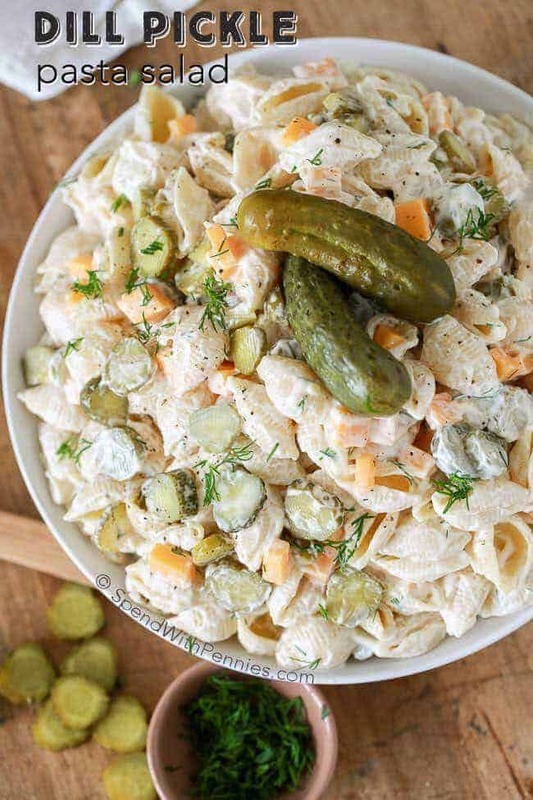 Pasta salads are my “go to” for pot lucks, standby make ahead meals and grab ‘n go lunches during warmer months. I love that they last for days and are usually even better the next day once the flavours have had a chance to meld together. I have a theory that you can use almost any vegetable to make a truly great pasta salad. And I think this is a good example of it. 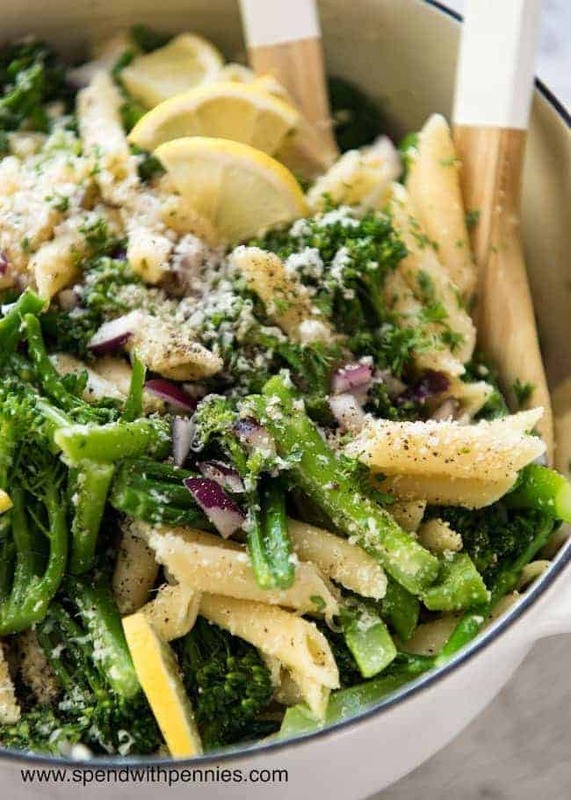 When you think of broccolini, you probably don’t immediately think of pasta salad! But it is a fabulous pairing. ESPECIALLY with that Lemon Dressing. Parmesan cheese really is a magic ingredient. It adds umami, a savouriness to anything that you add it to. And it’s what really takes this to the next level and brings the whole thing together. Plus, parmesan and lemon are a beautiful pairing, don’t you think? This recipe makes a BIG batch. Because it keeps so well! 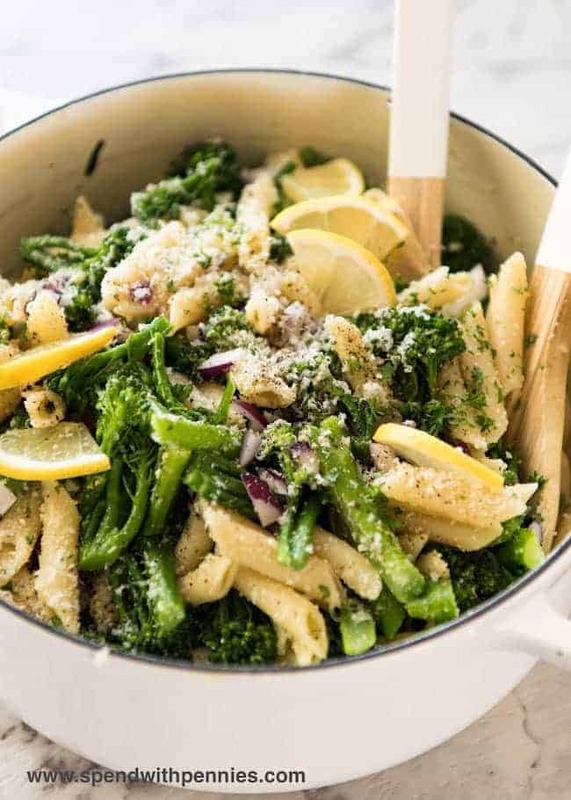 PS I like making this with broccolini rather than broccoli because the shape of it makes it easier to cut into a size suitable for using in a pasta salad. However, you could use broccoli as well, just cut into small florets and proceed with recipe! 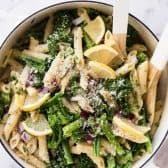 Broccolini Parmesan Pasta Salad is the perfect make ahead potluck dish filled with delicious lemon parmesan flavor! Add some grilled chicken to make it a complete meal! 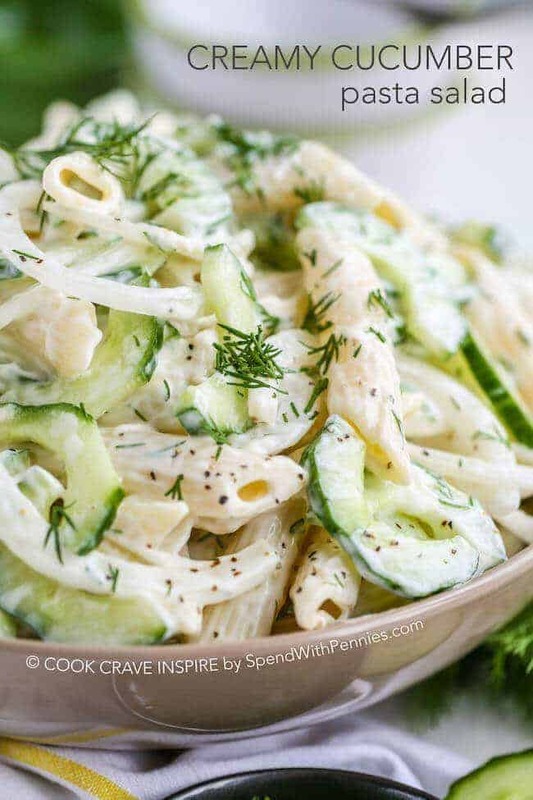 One of my favorite spring pasta salads! The bright, fresh lemon flavour in this is just wonderful! Trim ends then cut broccolini into 2.5” lengths. Add broccolini and cook for 1 ½ minutes. Take them out of the hot water using tongs, and transfer to colander. Run under cold tap water to stop them cooking further. Add pasta into the same pot of boiling water. Cook per packet directions. Drain then rinse with water. Cool. Place Dressing ingredients in a jar. Shake well. 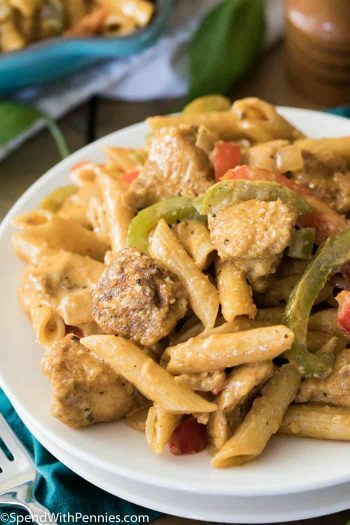 Place pasta in a very large bowl. Add broccolini, parsley and parmesan cheese (start with 3/4 cup, add more if you want). Drizzle with Dressing and toss well. Adjust salt and and pepper to taste. Serve at room temperature! 1. Adjust salt and pepper at the end because the parmesan adds plenty of flavour and salt. 2. Storage: This pasta keeps for 2 days in the fridge, just toss well and serve at room temperature. It may benefit from a fresh grating of lemon zest and squeeze of lemon juice.